In Rancho Escondido, near Guadalajara, Mexico, lived Doña Rosalba and her canine companion, Bayron Max, together with some farm animals. After being diagnosed with cancer, Rosalba had to leave her home to go live with her relatives in Montemorelos, a city near Monterrey in Northern Mexico. 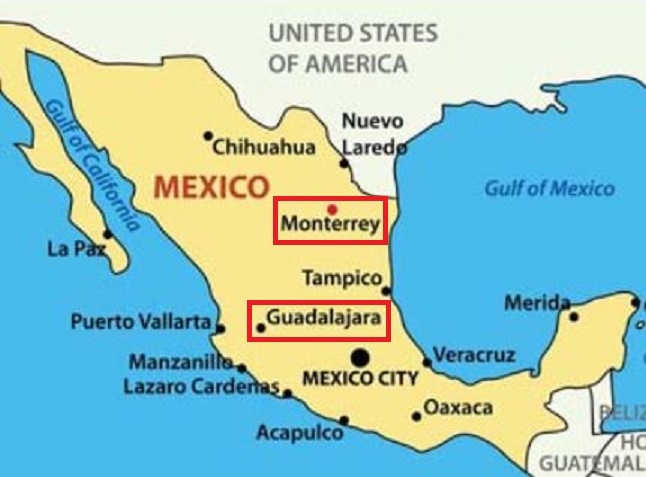 The driving distance between Guadalajara and Monterrey is 490 miles. But Rosalba periodically would return home to feed her dog, who waited patiently for his mistress. Then Rosalba became so ill that she could no longer make the trip. Her relatives went to Rancho Escondido to look for Max, only to find the dog had disappeared. 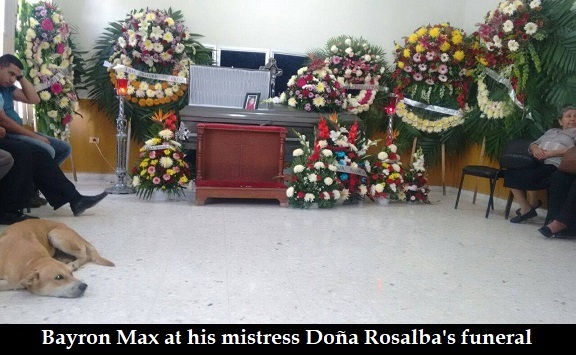 In her last requests to her family before she died, Rosalba asked them to look after Max because when she was racked with pain from the cancer, the dog would comfort her by folding his legs around and embracing her. Fifteen days after Max had disappeared, Doña Rosalba died. On the morning of her burial, her body was displayed in the chapel of the funeral home. Bayron Max stayed for the hours-long funeral, refusing all food. 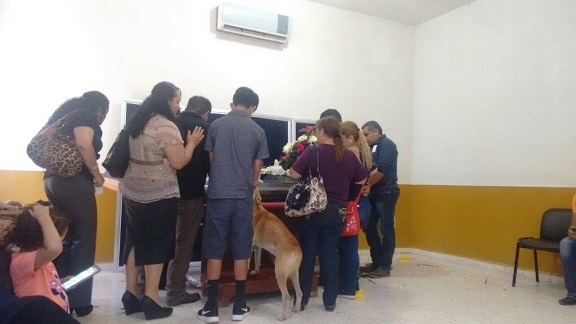 All the people at the funeral were moved by the dog’s dedication, love and fidelity. Source: Punto X Punto, Sept. 6, 2016. This entry was posted in Uncategorized and tagged Bayron Max, Doña Rosalba, Montemorelos - Mexico, Rancho Escondido - Mexico. Bookmark the permalink. I didn’t want to cry but……..I did. Wow. That’s amazing. So touching! I wish people were as wonderful as dogs. I’m so glad the family let Bayron Max look into the casket so he could see Dona. Dogs are truly amazing to be able to track so very far to find those they love. Who knows what kinds of dangerous obstacles and situations Bayron Max may have encountered along the way. Hopefully, a family member will honor Dona’s request to take great care of Bayron Max. Thank you, Dr. Eowyn, for bringing this beautiful story to us. As per Alma’s comment, I had to work hard to keep from weeping. I think the reason that I just began to tear up and then stopped, is because after all the dog did not die, but lived to show that his faith was justified. It is truly a miracle in my opinion that he was able to find her. Could any of us have done this? I don’t think so, not without divine intervention. Sorry…This mexicali tail (yuk yuk….) seems to be a ridiculous fabrication….